Here are my super cute Candy Corn nail designs. They look great on every nail but my clients usually get just one or two as accent nails. They look super with a manicure done with orange nail polish. 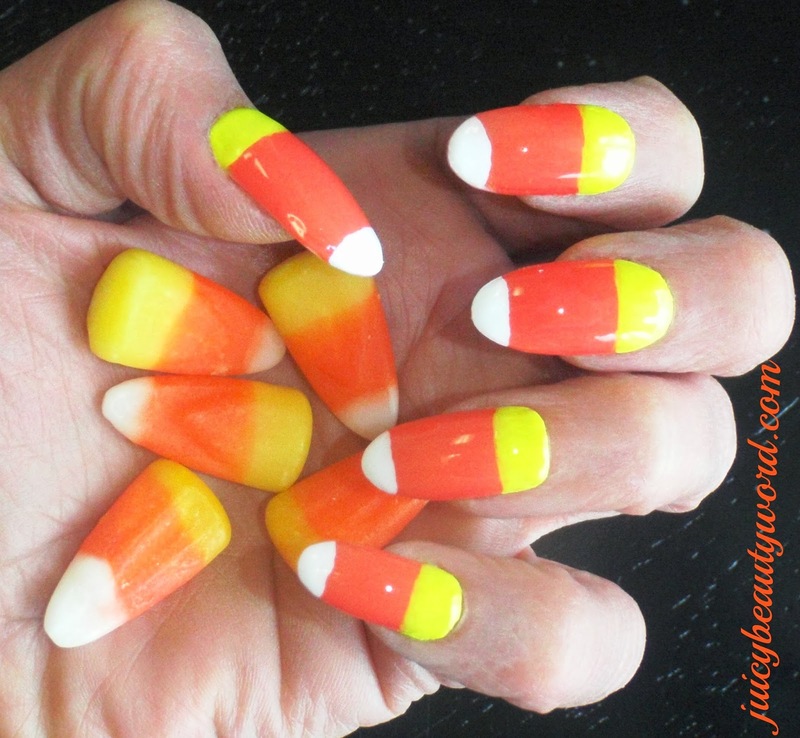 The Candy Corn nail design is a good nail design choice because it can be worn anytime for fall not just for Halloween. I started the design by shaping the nails to resemble the Candy Corn shape. Next, I applied a base coat. Then, I painted the design using white, orange and yellow acrylic craft paint. I started with the orange then added the yellow and white. I like using acrylic paint for nail designs for many reasons. It's water based so it's easy to mix colors and thin the paint to the right consistency, it doesn't clump up like nail polish can when painting a design and it's opaque. Acrylic paint applies easily over nail polish and it dries nice and fast. The acrylic paint does need to be sealed with nail polish so it does't scratch off. All the designed nails were sealed with Sech Vite, my favorite top coat. 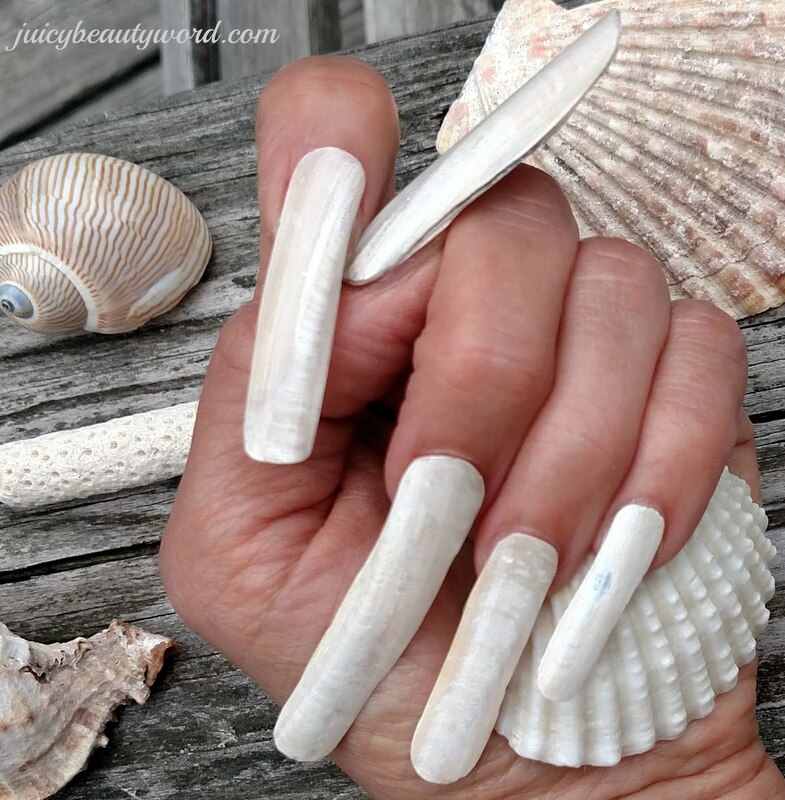 Click here to see my ghost nail designs! PS: Thanks for using my Amazon links! Ahh, the makings of a fine witch's brew. Sorry to disappoint! These are cosmetic ingredients! Whale vomit, aka ambergris, has been used as a fixative in perfumes. Purified snail slime is used in a Columbian made moisturizer. Nightingale poop is used in the elite New York Geisha facial. People will try anything in the name of beauty! 1. Cut a piece of duct tape that is 1/4" larger than the wart. 2. Cover the wart for six days. You can shower with it on. 3. Remove the tape after the 6 days and soak the wart with warm water. 4. Now file the wart down using an emery board or a pumice stone. Toss the emery board. Clean the pumice with bleach. 6. Reapply the duct tape in the morning to begin the cycle again. This can be done for up to 2 months. Q. 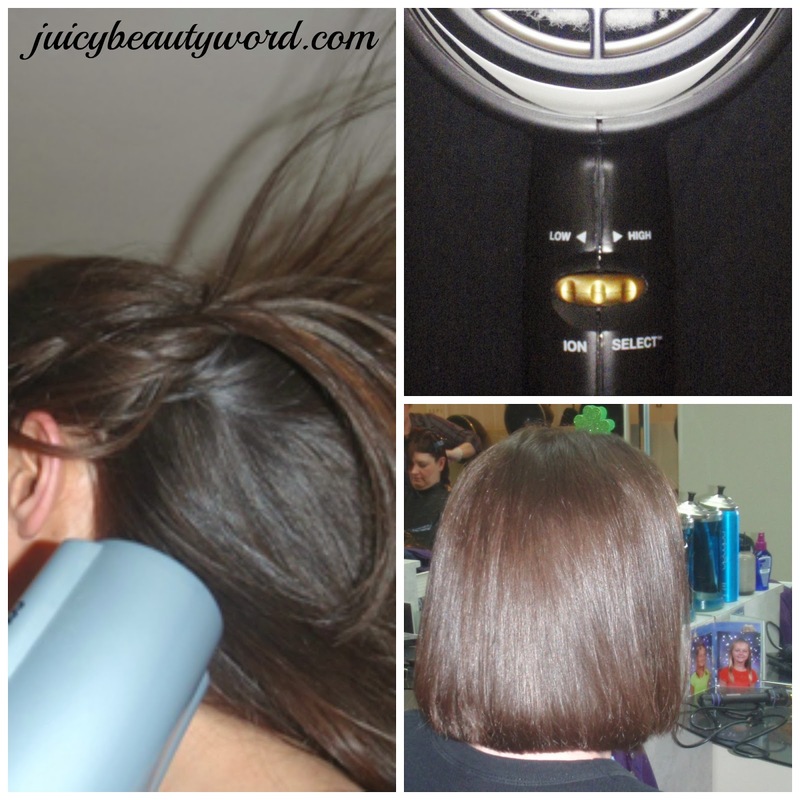 Can an ionic blow dryer really make my hair shinier? A. It can! 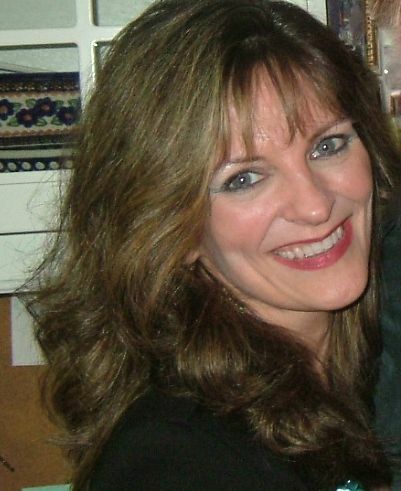 Ionic hairdryers emit negative ions. The negative ions break apart water droplets into small pieces allowing the hair to absorb the moisture and also allowing water to evaporate faster. This means less hot air blowing on your hair which reduces damage to your hair from the heat. The negative ions also reduce frizz by compressing the cuticle making hair shinier and softer. Looking for a Halloween costume idea? Here are some of the trending costumes this year. Are you looking for an amazing blue green metallic nail polish? I am obsessed with this fabulous nail color Zoya Hazel. Hazel is a blue green with a fabulous silvery metallic finish and a lovely brightness about it. It also has a bit of gold in it so it looks like it changes in different lighting just like hazel eyes change in different light! Sometimes, Hazel looks more blue. Sometimes, it looks more green. Sometimes, it looks very silver and sometimes, a bit more gold. The picture above was taken in indoor lighting. It applies smooth and easy with opaque coverage in 2 coats. The glittery particles are smooth on the nails. You can't feel any roughness even without a top coat. Some of my clients hate the feel of rough nail polish. Here is Zoya Hazel outside during the afternoon in the shade. And here is Zoya Hazel sparkling in the afternoon sun! Isn't it so gorgeous! I love it! It's a summertime favorite with my clients as well. Find it at salons, spas, Zoya.com and Amazon for $10.00. Wanna be a little witchy instantly? 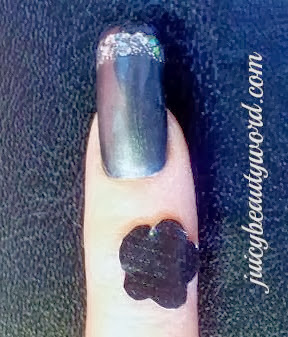 Put on a little black lipstick and black polish to create a quick bewitching Halloween look! You can find black lipstick in Halloween stores and in the Halloween section at your local drugstore. Add some gloss for shine. For your nails,Wet n Wild has a Black Creme nail color also at your local drug store. Juicy Beauty Word videos are on youtube! 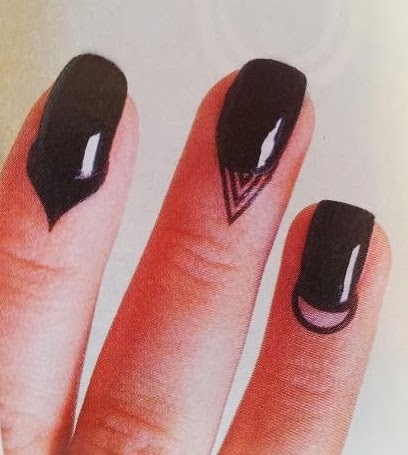 Do traditional looking nails bore you? 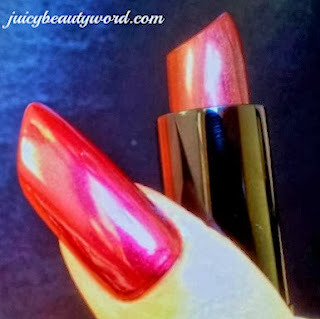 Go avant garde with a lipstick shape. 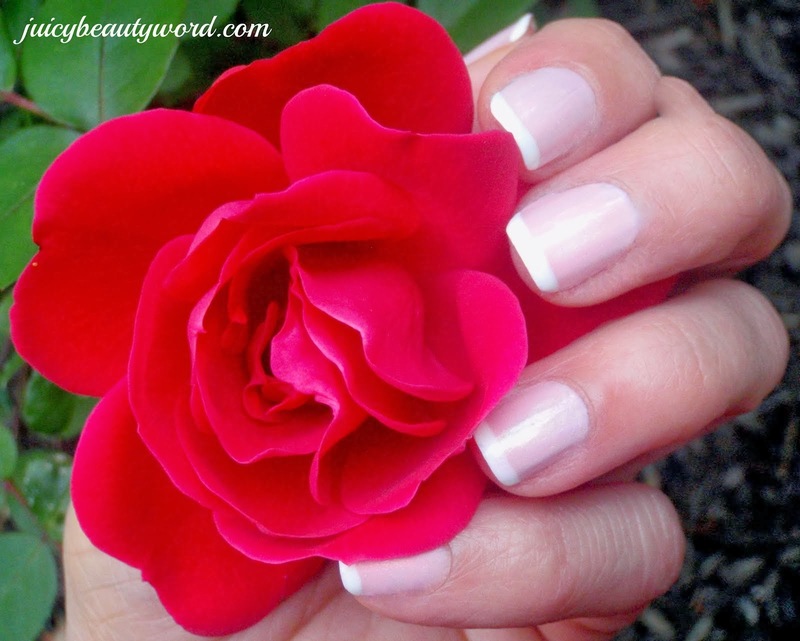 The tips of your nails have slanted edges like the shape of a fresh new lipstick! Beauty tip videos on youtube! It's Halloween time! 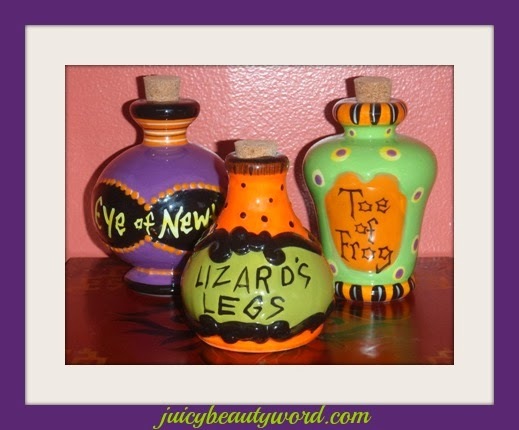 My favorite time to pick up great funky makeup finds at the Halloween stores! 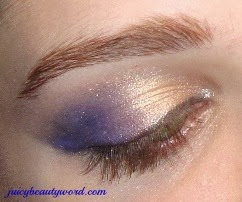 You can find great glittery eye shadows, funky lashes, glow in the dark nail polish, glow in the dark body glitter and more. Love it! Those specialty Halloween stores are not around for long so you better hurry. 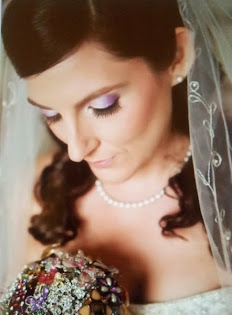 A beautiful bride having her makeup done for her purple themed garden wedding. Enjoy! I am loving this OPI color combination: Russian Navy topped with Polka.com!